Controlling your home with voice commands is an exciting part of home automation, and the Apple HomePod allows Apple users to do just that. The Apple HomePod is a powerful speaker that provides an immersive sound experience, regardless of where it’s placed in your home. 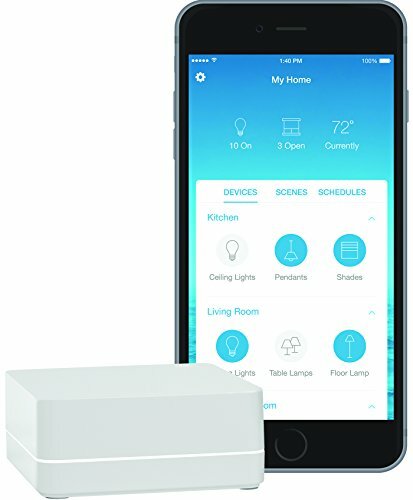 It integrates seamlessly with your Apple HomeKit system and because it is Siri-enabled, you can ask Siri to play music, turn on lights, lock the door, and more—provided you have the smart devices to respond to those commands. Below are just a few of the many products that work with Apple HomePod. Philips Hue is a leader in the smart lighting industry with dozens of lightbulbs and other lighting options for your home. With the Philips Hue Bridge, you can control up to 50 lights from your Apple HomePod or remotely with the Philips Hue smartphone app. 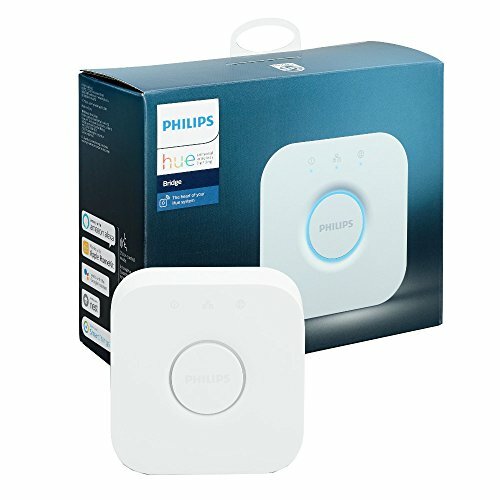 If you want to start with some basic smart lightbulbs, we recommend the Philips Hue White & Color Ambiance A19. One advantage of LIFX lightbulbs is that they don’t require a hub to integrate with your home automation setup—plus, each one connects on its own, so you aren’t limited in terms of how many you can add to your home. LIFX has several lightbulbs, strips, and tiles that integrate with Apple HomePod, including the LIFX+ A19. 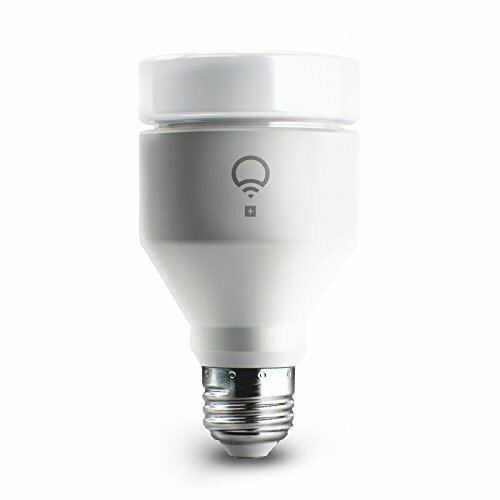 This bulb shines in both multicolored and white light, and it even has infrared night vision. So if you have a home security camera, the LIFX+ will illuminate your space at night for better video quality. Lutron has a wide range of lighting products and brands, but the Caséta line of dimmers, switches, remotes, wallplates, and other accessories is the most accessible and DIY friendly. 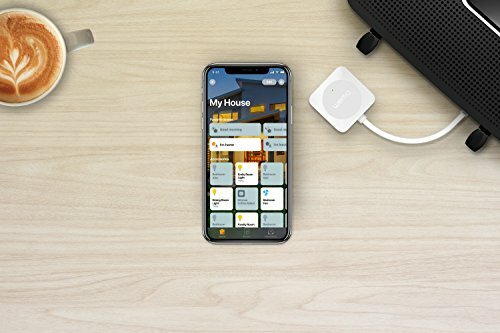 With the Smart Bridge, you can connect your Apple HomePod to other Lutron products and have full control over the lighting in your home. Start with the Smart Lighting Dimmer Switch kit with two dimmer switches to control up to 17 lightbulbs per switch. If you’re still on the fence, read our full Caséta by Lutron review. When you’re ready to have control over more than just the lights in your home, the Belkin Wemo Bridge adds smart control functionality to Wemo outlets and whatever is plugged into them—so you could turn off the iron or coffee maker from your phone or using Apple HomePod and Siri. The Wemo Insight Smart Plug works the same way, but it also monitors how much energy is being used by any devices plugged into it. The Wemo Mini Smart Plug is a more compact version that lets you use more than one in the same outlet. 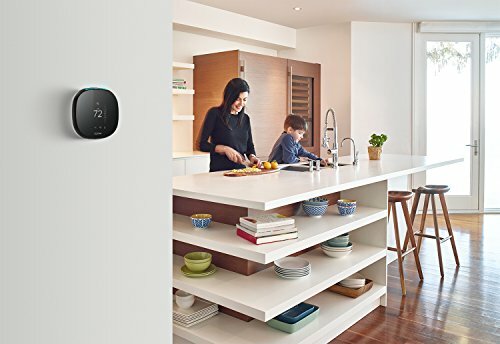 View ecobee3 lite and ecobee4 on Amazon. If you’ve ever wanted to control your thermostat with Siri, ecobee is one of our top three recommended Wi-Fi thermostat brands. One of our favorite features of ecobee thermostats is that they work with additional room sensors that let your thermostat know if part of your house is too cold or too hot. 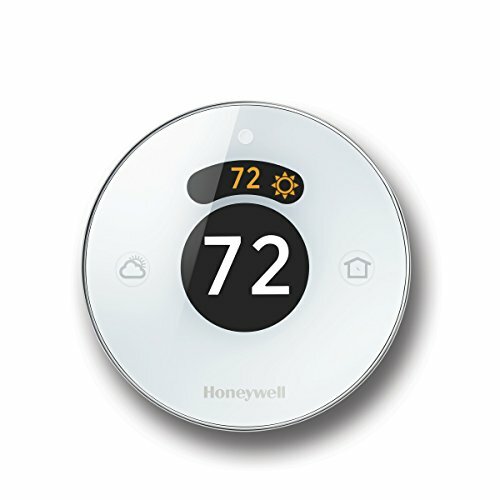 Another reputable brand for smart home thermostats is Honeywell, which now offers the Lyric series of Wi-Fi thermostats. All these thermostats save money and energy by calculating how long it takes to heat or cool a house and adjusting accordingly. They also adjust for humidity and the real feel of the house temperature. The T5 and T6 also have geofencing features, which track the location of the household occupants and set the temperature accordingly. One caution with the Honeywell Lyric thermostats, though—they all require a C wire, and not all furnaces have one, so be sure to check before you buy. View wired and wireless on Amazon. 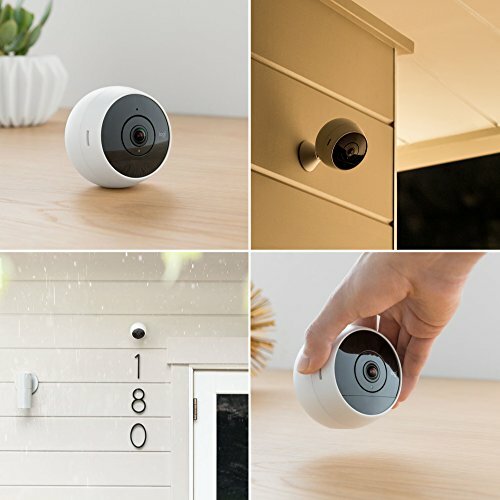 The Logitech Circle 2 Security Camera can be used both indoors and outdoors and comes with an app that lets you view the feed directly on your smartphone. The camera comes in both wired and wireless versions at different prices and with slightly different FOV angles—the wired camera has a full 180-degrees FOV, whereas the wireless’s FOV is about 130 degrees. Both record 1080p HD video, and though there are a few other minor differences, both have motion detection and are weatherproof for the outdoors. Both cameras also come with 24 hours of free cloud storage for your videos, though you have to pay for a subscription to get more advanced features. 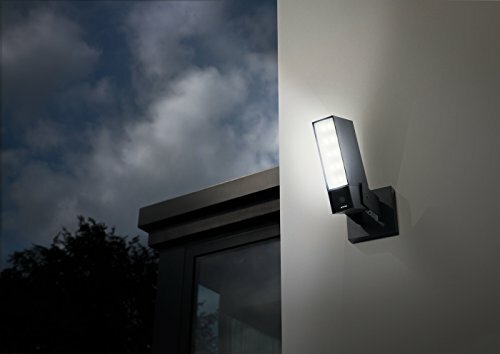 For outdoor security, the Netatmo Presence acts as both a security camera and a floodlight. With built-in motion detection, it alerts you when a package is delivered, if someone is lurking outside your home, or even if a pet gets outside. The floodlight can be turned on manually or by motion activation. It’s fully weatherproof and installs easily, quickly replacing existing outdoor light fixtures. For more information, you can read about Netatmo cameras here. View bridge online; view MyQ Hub and sensors on Amazon. The Chamberlain MyQ Home Bridge gives you access to your garage door from your smartphone. You can ask Siri to check the status of your garage door or even close or open the door from anywhere. 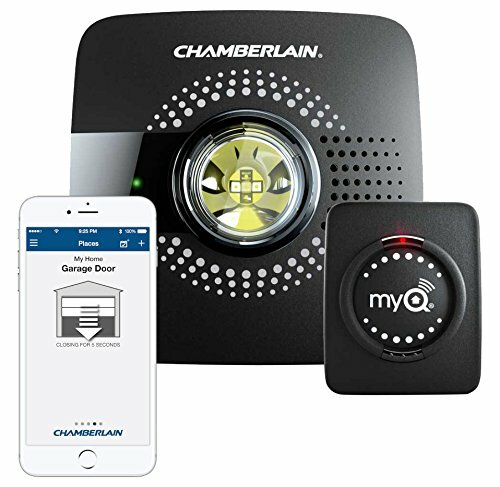 Chamberlain MyQ is one of our top recommendations for garage door openers, and it’s the only one that integrates with the Apple HomePod. The bridge works only on garage doors that already have MyQ technology, so if you have an older garage door, you may also need to purchase the MyQ Hub and a sensor to make this work. 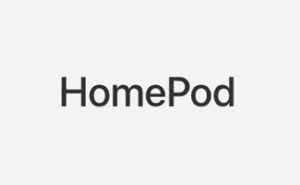 Apple HomePod works exclusively with other Apple products when it comes to entertainment. The HomePod streams music from Apple Music, iCloud, iTunes, and AirPlay. You can also use it as a speaker for your Apple TV, though that requires an iOS smartphone—you can’t connect the two devices directly. If you’re not already an Apple user and if you don’t plan to acquire an iOS phone, an Apple HomePod won’t make sense for you. Even though it uses Bluetooth, it cannot be used as a normal wireless speaker, and it cannot connect to non-iOS smartphones. Instead, consider other home voice assistants, like Google Home; Sonos One; or the Amazon Echo, Dot, or Tap. Are you excited for the Apple HomePod, or have you already tried it out? Share your experiences with it or other home voice assistants in the comments below.